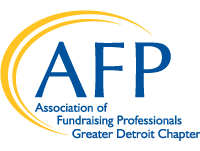 Philanthropy has the power to transform society and fundraisers, like you, play a major role in this process. 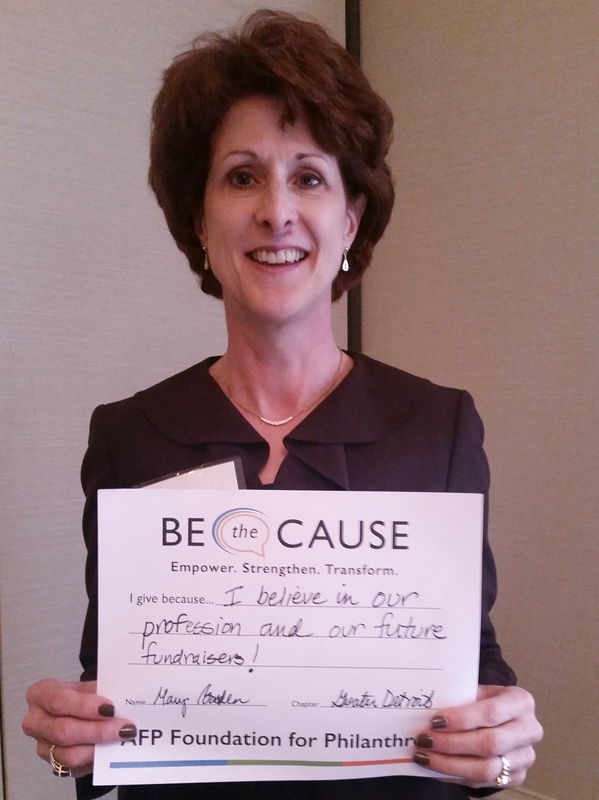 The BE the CAUSE Campaign embodies the importance and impact of a profession that values ethical and effective fundraising in the world and works in the interest of the public good. The campaign demonstrates what fundraisers do and why we do it. 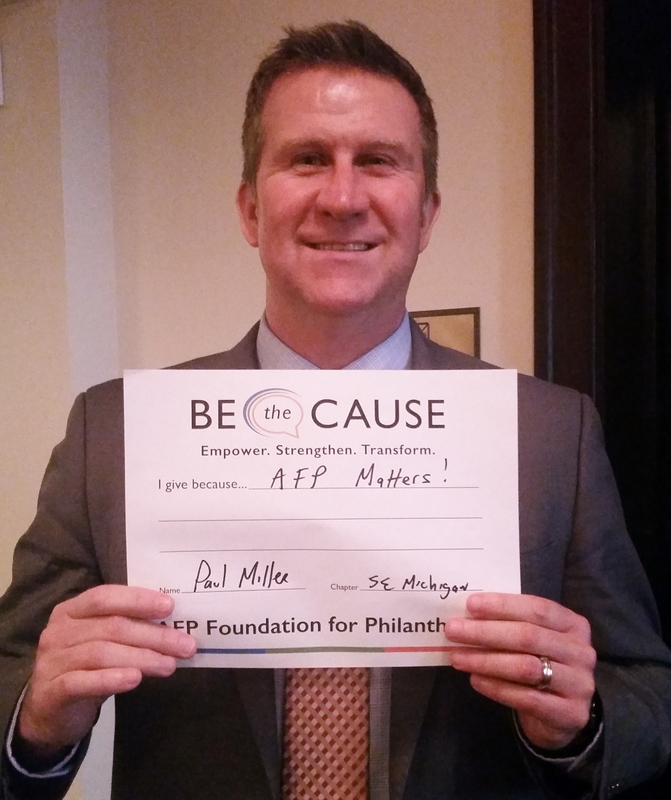 Because education, training, mentoring and research empower fundraisers. Because ethical and effective fundraising strengthen causes. Because donors and volunteers supporting causes they value transform society. Please consider giving whatever you can by clicking below. For more information about giving locally and this year's Annual Fund Drive, please contact Ryan Dinkgrave at (734) 968-7607 or rdinkgrave@swsol.org. Remember... together, all of us can make a difference! 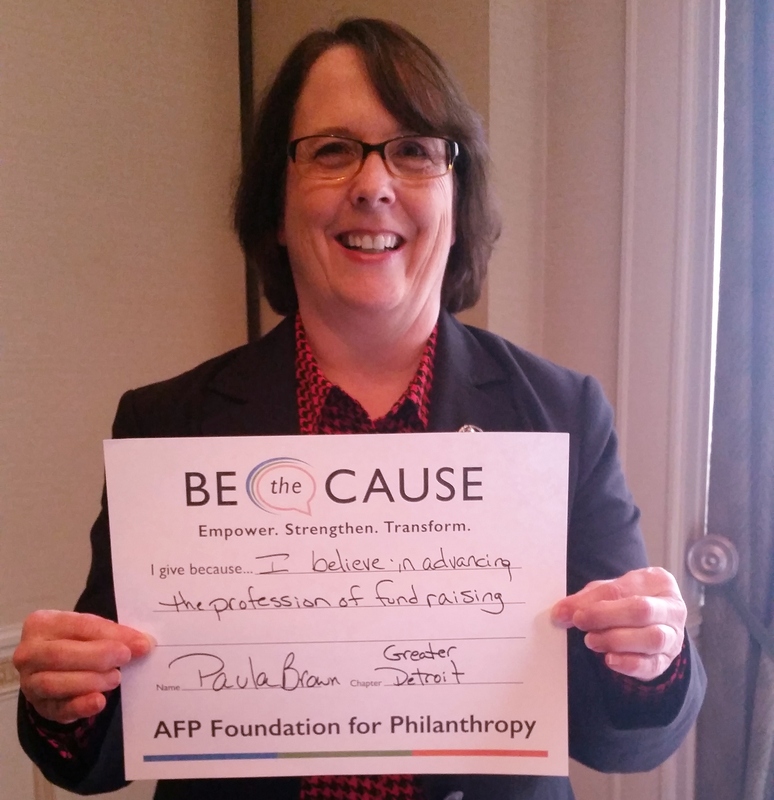 "I GIVE BECAUSE: I believe in our profession and our future fundraisers!" - Mary Barden, J.D.